LENT IS A CALL TO REPENTANCE - Our readings for this Sunday serve as both a history lesson on past sins and a call to repentance, as Jesus warns his listeners, "If you do not repent, you will all perish as they did". In our first reading (Exodus 3:1-8, 13-15), Moses encountered God on Mount Horeb and witnessed God's glory and mercy in the burning bush. God tells Moses he heard the cry of his people and will rescue them. In this passage, God identifies himself as the eternal "I AM", in Hebrew, Yahweh. "There an angel of the LORD appeared to Moses in fire flaming out of a bush. As he looked on, he was surprised to see that the bush, though on fire, was not consumed. So Moses decided, "I must go over to look at this remarkable sight, and see why the bush is not burned." "When the LORD saw him coming over to look at it more closely, God called out to him from the bush, Moses! Moses!" He answered, "Here I am." God said, "Come no nearer! Remove the sandals from your feet, for the place where you stand is holy ground. I am the God of your fathers," he continued, "the God of Abraham, the God of Isaac, the God of Jacob." Moses hid his face, for he was afraid to look at God. But the LORD said, "I have witnessed the affliction of my people in Egypt and have heard their cry of complaint against their slave drivers, so I know well what they are suffering. Therefore I have come down to rescue them from the hands of the Egyptians and lead them out of that land into a good and spacious land, a land flowing with milk and honey." "Moses said to God, "But when I go to the Israelites and say to them, 'The God of your fathers has sent me to you,' if they ask me, 'What is his name?' what am I to tell them?" God replied, "I am who am." Then he added, "This is what you shall tell the Israelites: I AM sent me to you." God spoke further to Moses, "Thus shall you say to the Israelites: The LORD, the God of your fathers, the God of Abraham, the God of Isaac, the God of Jacob, has sent me to you. "This is my name forever; thus am I to be remembered through all generations." In our Epistle reading (1 Corinthians 16:1-6, 10-12), Saint Paul reminds his readers that even though God rescued the Israelites from the Egyptians, they suffered greatly in the desert because of their evil desires. "I do not want you to be unaware, brothers and sisters, that our ancestors were all under the cloud and all passed through the sea, and all of them were baptized into Moses in the cloud and in the sea. All ate the same spiritual food, and all drank the same spiritual drink, for they drank from a spiritual rock that followed them, and the rock was the Christ. Yet God was not pleased with most of them, for they were struck down in the desert. "These things happened as examples for us, so that we might not desire evil things, as they did. Do not grumble as some of them did, and suffered death by the destroyer. These things happened to them as an example, and they have been written down as a warning to us, upon whom the end of the ages has come. Therefore, whoever thinks he is standing secure should take care not to fall." In our Gospel reading (Luke 13:1-9), Jesus uses two well known tragedies of that time to warn of the need for repentance. He then tells a parable of the Barren Fig Tree, which suggests his role in asking the Father for one more chance for his people to repent. 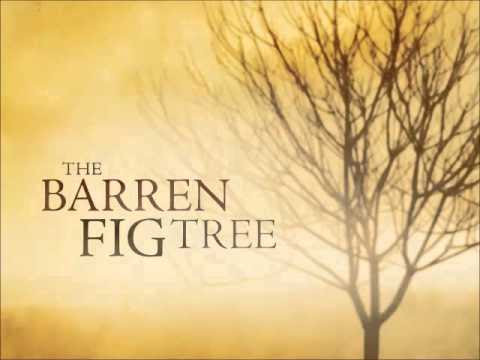 "And he told them this parable: There once was a person who had a fig tree planted in his orchard, and when he came in search of fruit on it but found none, he said to the gardener, 'For three years now I have come in search of fruit on this fig tree but have found none. So cut it down. Why should it exhaust the soil?' He said to him in reply, 'Sir, leave it for this year also, and I shall cultivate the ground around it and fertilize it; it may bear fruit in the future. If not you can cut it down.'" This Lent is our chance to show our landowner that we can bear fruit. May we take it.